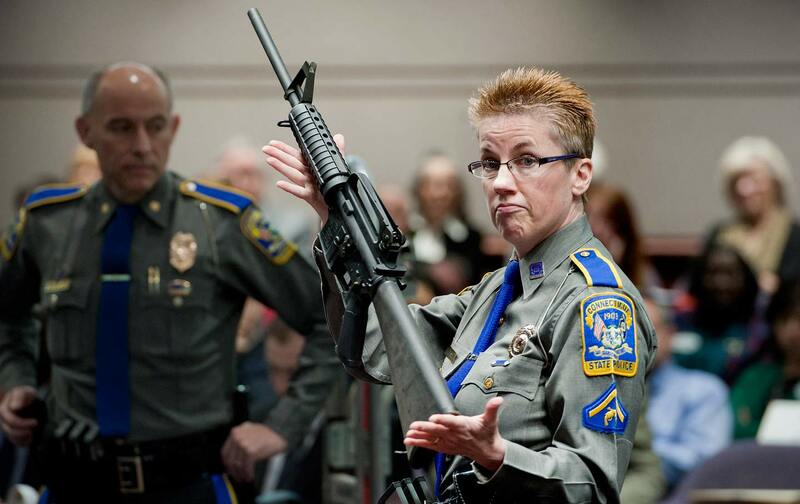 Will the gunmaker have to pay the price for the Sandy Hook mass shooting? A Connecticut judge ruled Thursday afternoon that a lawsuit against Remington Arms Company over the mass shooting at Sandy Hook Elementary School can move forward. But negligent-entrustment cases have commonly involved situations where a gun shop sells a weapon to someone it knows shouldn’t have it. The Sandy Hook families are making a novel claim that gun companies, and in this case Remington, are guilty of negligent entrustment by the very act of mass producing and marketing lethal, military-style weapons to the general public despite recurring evidence that assault rifles are used in mass killings—and that the gunmaker-immunity law does not apply. If successful, their case would open the industry to waves of lawsuits over deaths caused by assault rifles. If the trial even got to the discovery phase, it might reveal fascinating information about how gun companies market their weapons, and what they truly believe about the lethality of their products. “[Defense lawyers] were trying to get the case dismissed before any discussion of the facts simply on the basis of PLCAA, saying that it was a jurisdictional statute that denies the court the opportunity to even consider the claims,” said Adam Winkler, a law professor at UCLA who has written extensively about the legal landscape around gun control. Bellis rejected that claim, and said her court does have jurisdiction. If the defense lawyers had successfully argued that courts can’t even hear cases against gun manufacturers, it would have been a notable victory for the industry. But just because Bellis will continue to hear the case, it doesn’t mean she will ultimately decide that the families can get around PLCAA. “As to other issues about the legal sufficiency of the plaintiffs’ claim, she sort of kicked the can down the road, and so they’re going to have to fight about that again,” said Sachin Pandya, a law professor at the University of Connecticut.